Mini Purple ribbon cookies by The Cookie Company. 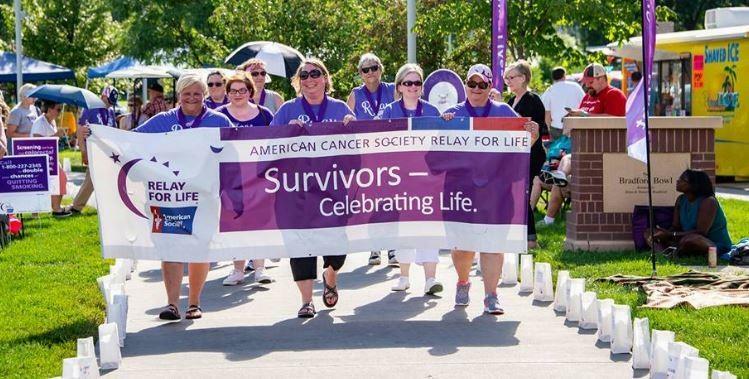 Sign up for Relay for Life of Greater Omaha! Pick up a team packet, sign up as a team! Sign up as an individual or family! We especially want to say hello and sign up Survivors. A survivor is ANYONE that has been diagnosed with cancer, whether it was 25 years ago or yesterday. We do all of this to honor you, to raise funds to find a cure for all cancers! Lots of fun, stop by and see the amazing volunteers (many of whom are cancer survivors themselves!) on Saturday, May 4th!